We’d love your help. Let us know what’s wrong with this preview of There's a Spider in this Book! by Claire Freedman. 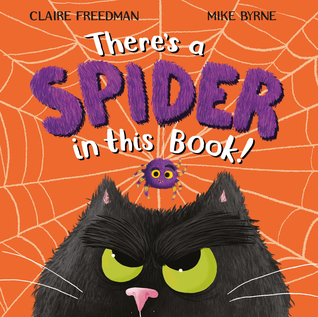 To ask other readers questions about There's a Spider in this Book!, please sign up. Be the first to ask a question about There's a Spider in this Book! I had a variety of jobs, including secretary, trainee buyer at Harrods, dental nurse, production assistant in a reprographic and printing company and various others. I began to write after joining a creative writing class. I had no success with article writing, or short stories, or fiction, but the first children’s story I wrote, for a I’ve been a writer for over 15 years now, but it wasn’t planned! I live on the Essex coast in a lovely two-bed-roomed flat, which I share with my husband, Michael. At long last I have an office to write in, with room for all my books and bits of scribbled on papers.